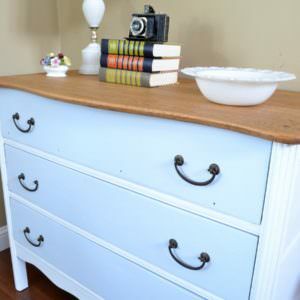 Did you pick up a dresser at a garage sale thinking, “This will look great with a coat of paint!”? 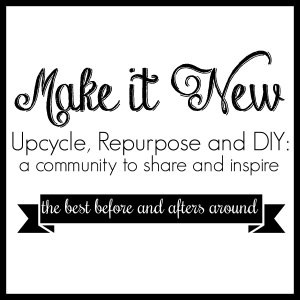 Do you have a piece in your home that could use a face lift, but you’re terrified to actually start painting over it in fear that you’ll ruin everything? This is exactly how I felt the first time I painted a piece of furniture, and I’ve heard this worry expressed to me many times by readers and friends. I’ve only been painting furniture for a few years, but I can safely say I’ve refinished over a hundred pieces, used a variety of different types of paints and styles of finishes, and made my fair share of mistakes along the way. Being a teacher, I’m a firm believer in the power of learning by doing, but it’s really difficult to start doing something new if you don’t feel safe. This post is my attempt to calm your nerves and provide you with a couple of tricks I’ve learned along the way so you can confidently pick up that paint brush and tackle that project! Not only is this the first step in the process, but I also find it to be the most important step. Lack of correct preparation is where I see the biggest mistakes made, and the mistakes are often the most difficult to fix. 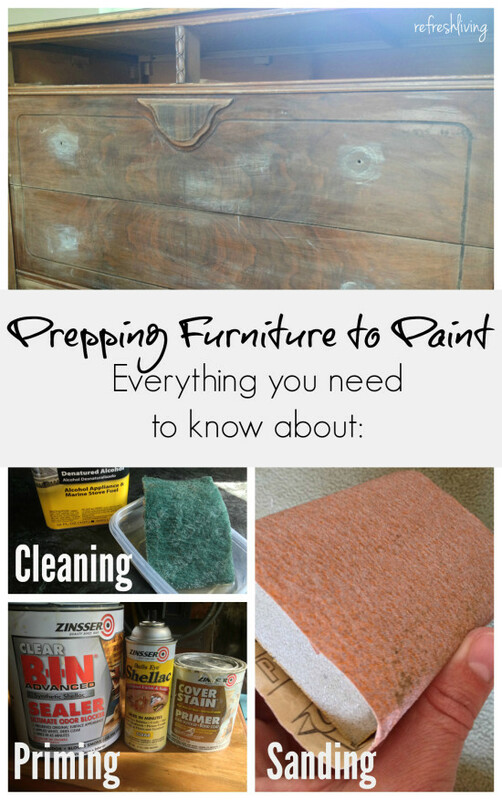 I’ve devoted an entire post to how I prepare furniture to paint, in which I include a lot more details. Basically, I always sand anything I am painting with 220 grit sandpaper to scuff up the finish (yes, even when I’m using chalk paint!). Depending on which type of paint I am using for the top coat, I sometimes prime as well. I’ll share more on that in my next tip! 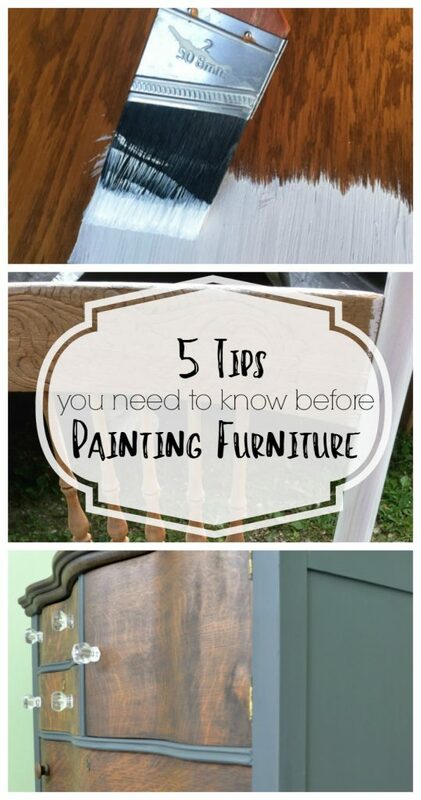 There are a lot of factors that go into the type of paint you should use for your piece of furniture: cost, the look you are trying to achieve, and the condition of your piece. I’ve used a lot of different types of paint, and tons of different brands, and each one gives its own unique finish. I’ve tried to sort out the differences between all of these paints and give the pros and cons of each one in this post. When I’m out searching for pieces to refinish, drips are one of the mistakes I notice quite frequently. Trust me, you’ll have drips when you are painting, but if you catch them soon enough, you won’t even be able to tell on your finished piece! Chair legs, spindles, detail work, and corners and edges of pieces are the places to watch out for drips. Let’s say you’re painting the side of a dresser. 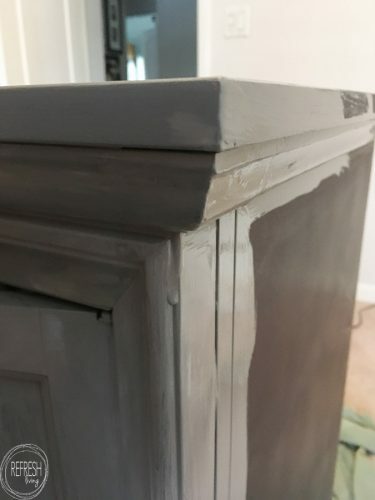 As soon as you finish the side, or even halfway through, check the adjoining sides at the corners to make sure none of the excess paint dripped to the other side. If it did (and it probably will) just use your brush and run it along the edge to catch the drips. The important part here is to find and catch those drips before they start to dry! If they do start to dry, you’ll be taking off too much of the paint when you go to brush off the drop, or you just won’t be able to get it at all. If this does happen, you can wait for the paint to dry completely and sand the drip off before painting your next coat. If you are spraying your piece, make sure you stay about 10 inches away from the surface. If you spray too close to the piece, you’ll get drips, or a patch of paint that will start to drip in a minute or two. If you are painting outside and your paint is drying quickly, you’ll need to check for drips a lot more often. Even if you feel like you just checked, check again! This tip is actual two tips in one! First, brushing less is better than over brushing and second, the less paint in each coat, the better. 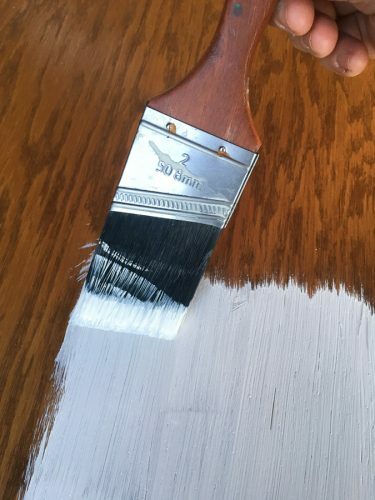 When I first started painting furniture, I felt like I had to brush the paint ever so perfectly for it to dry smooth. What ended up happening was that I would brush an area multiple times, trying to create that smooth finish, but my brush would actually be dragging through the paint because it was already starting to dry. My tip for you here is to brush your first coat on, and just let it be. Most furniture paints level beautifully (which means as they dry, any brush strokes you might see when it is still wet will smooth out). If you try to over brush, you’ll actually create more brush strokes and a stickier mess while trying to paint. 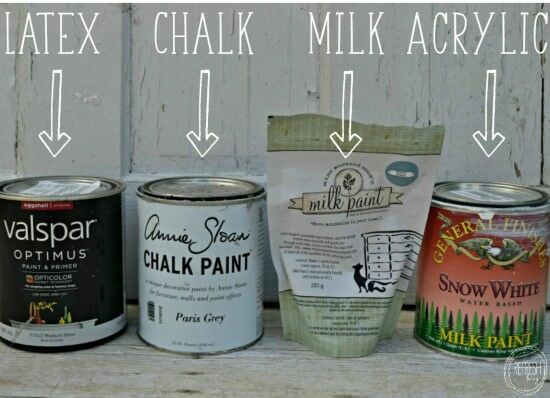 I especially find this to be the case with chalk paint, because it dries so quickly. Just paint a stroke and let it be. It is so tempting to try to add extra paint to the brush or roller, in the hopes that you won’t need to do a second coat, right? I’m guilty of trying this trick on my walls, but I’ve never found it to work well on furniture. Two to three lighter coats of paint, with a slight sanding with 220 grit sand paper between coats, will give a beautiful finish. It’s worth the extra time, I promise. Once you’ve painted one piece of furniture, you’ll feel a lot more confident, I promise. My advice here would be to start with something small, and fairly worthless to you. 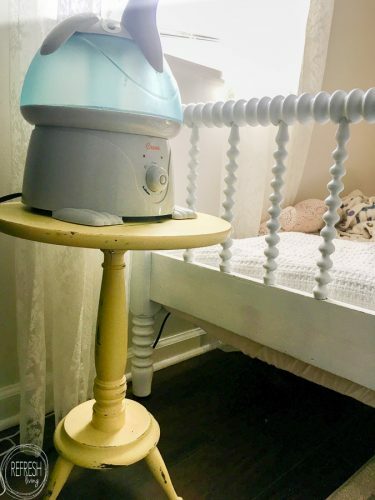 I think a side table is a great place to start. If you have one laying around that you don’t mind learning on, use it. Or, you can easily find them at second hand stores for fairly cheap. You may end up doing a perfect job on that smaller item and that’s great, but the point here is to give yourself some room to make mistakes. 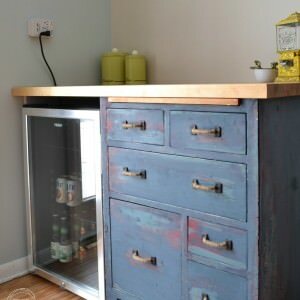 You won’t feel nervous or second guess yourself nearly as much on that beautiful dresser you want to refinish if you have one “go at it” under your belt. 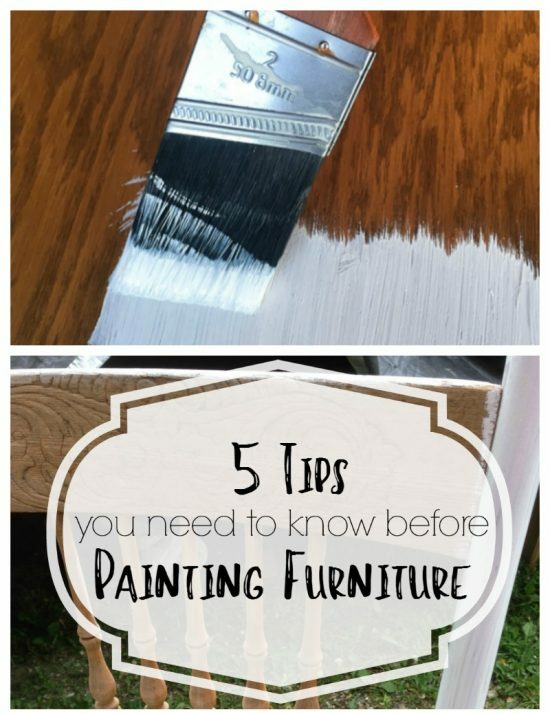 Now, I know I said I would share my 5 most important tips for painting furniture, but I need to leave you with one last piece of advice. Take a deep breath, cut yourself some slack, and enjoy the process!! One of the only reasons I still paint furniture is because I find it fun and relaxing. Enjoying the process and expecting things to go wrong makes it all the more rewarding when the finished piece comes out beautiful (in my eyes) in the end. If you run into some snags along your furniture painting journey, I’m only an email, comment or Facebook/Instagram message away. I might be able to help you out – there’s almost always a way to “fix it”. Good luck, and happy painting! 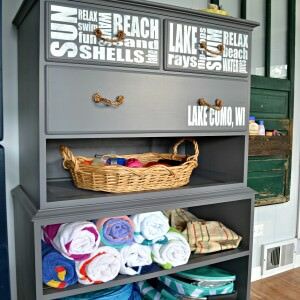 This post wouldn’t feel complete unless I shared with you some of my favorite painted furniture projects! 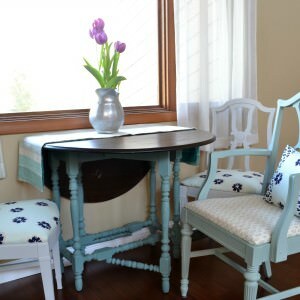 Painting furniture is one way that I save money and am able to decorate and redesign spaces in our home. 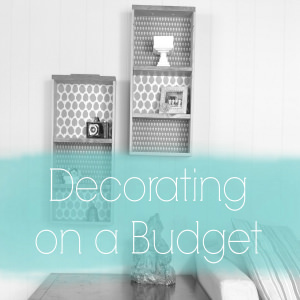 You can find all of the other ways I decorate our home on a budget here. I may not paint furniture in the near future… but I found reading this was encouragement for the possibility! Your advice and encouragement is greatly appreciated, thanks for a great read! Thanks so much, Trish. I’m so glad you found it helpful! Great information! Look forward to reading more from you! Thank you & happy painting! Hi Pamela. Thanks so much for your kind words and for taking time to leave a comment! 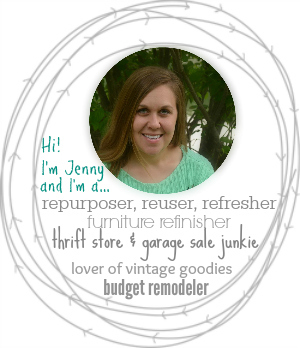 Just found you Jenny! Your advise is super helpful! THANK YOU!!! And I love your work! Looking forward to learning and seeing more! About to try my first piece. 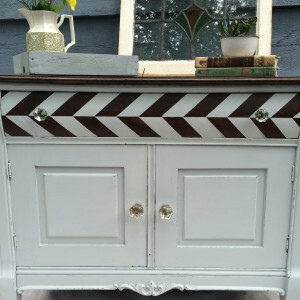 I want to paint a buffet a deep grey with a gel or stain in black over the top to accent all the details. Any advice on grey colors to look at? Thanks so much. 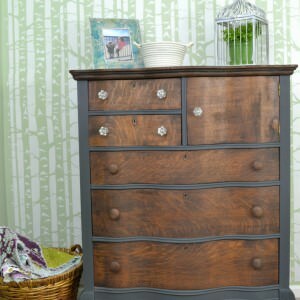 I love the deep gray color from General Finishes Chalk Style paint in Slate Gray. It does read a tad bit blue, but I think dark glaze over top will darken it more. That’s the color that comes to mind first, but I know there are a ton of other pretty dark grays out there!